Visionary are strong advocates of Integrated Marketing – it allows us to adopt new methods and practices and implement it right throughout our business and our client businesses. We also love to talk to people about Integrated Marketing and impress on you the need to implement the theory in your business and with your marketing strategy. Integrated marketing is putting customers in control of the type of messages they see, how they see it, when and where they see it. 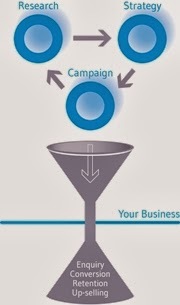 It ensures that all of the marketing activity you undertake will achieve the objectives that is set. That activity is measured in terms of the return on investment. It is important to recognise that there are hundreds of ways that consumers interact with a business. To ensure success your marketing strategy needs to employ a range of techniques. To maximise the impact of your marketing each needs to be complimentary – and pull customers through your marketing process to make a sale. Integrated marketing is also known as ‘Conversational marketing’ (you are opening dialogue with your customer) and also the use of ‘Pull Strategy’ (you are pulling them through your marketing and sales process rather than pushing). It is about putting customers centre, having them recognise that they can control the type of messages they see, how they see it, when and where they see it. In essence integrated marketing aims to create happy customers and in turn will create happy brands. Visionary has created a marketing process that effectively ensures that all marketing undertaken by an organisation is integrated over the coming weeks we will explore this. Will Google Glass Revolutionise Social Media? Are you ready to start your own business?